Today we’re getting a first look at another of the upcoming Star Wars line. 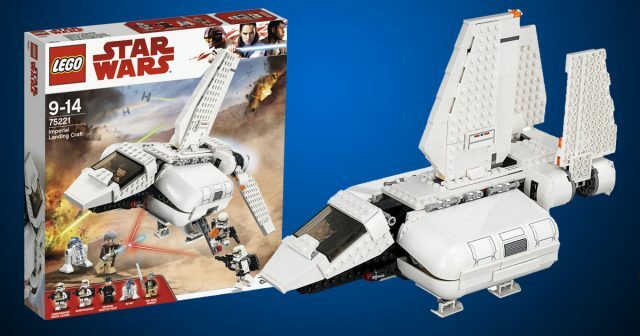 LEGO Star Wars set 75221 Imperial Landing Craft features the troop carrier landing on Tatooine. It’s a scene not pictured in the films, as Obi-Wan Kenobi and R2-D2 fend off the Imperial Sandtroopers. This is the second LEGO Imperial Land Craft, following a similarly scaled but less accurate version in 2007, 7659 Imperial Landing Craft. The set includes 5 minifigures: a Sandtrooper Squad Leader, Sandtrooper, Imperial Shuttle Pilot, Obi-Wan Kenobi, and R2-D2. It’s 3.5 miles from the Vehicle Assembly Building to Launchpad 39A at Kennedy Space Center. It was quite the feat to figure out how to transport a moon rocket from point its assembly point to the launch site, since rockets weigh QUITE a bit. The solution? The crawler-transport. This workhorse of NASA’s fleet moves a stunning 1 mile per hour, and uses over 100 gallons of diesel fuel per mile when fully loaded. The crawler transport goes under the mobile launch platform; the vehicle is assembled on top. Then the crawler goes on its merry way to the launchpad, and off it goes. These beauties are massive, and dorian glacet brings us his fabulous version along with a modified orbiter from 60080 Spaceport. 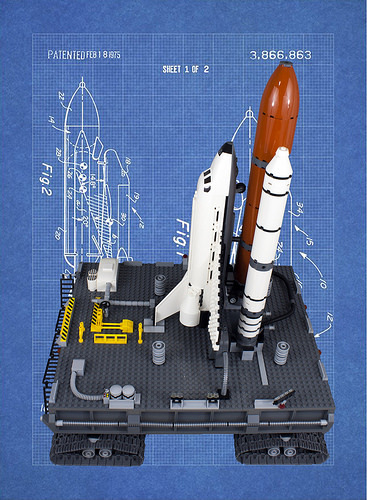 He’s extended the shuttle, fuel tank, and boosters, which give the whole build a better sense of scale.